Swatch: Sephora Colorful Mono Eyeshadows | Memorable Days : Beauty Blog - Korean Beauty, European, American Product Reviews. I bought these two eye shadows a while ago. It was quite hard to find a matte black and a pigmented white eyeshadow. Thankfully I found these at Sephora ^_^. According to the Sephora website these are highly pigmented, long-lasting, exclusive shadows that reinvent color intensity. 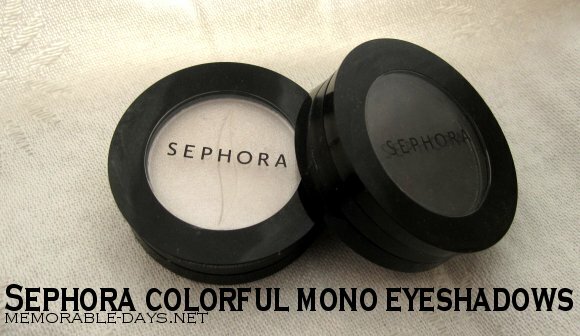 Sephora Mono Eyeshadow has the perfect, high-payoff combination of brilliant color, an easy-blending formula and endless versatility that will revolutionize your eye-makeup outlook and deliver show-stopping effects. These eye shadows are available in more than 80 different shades and comes in three finishes: matte, glittering and metallic shimmer. These eyeshados are paraben free. These are around €10,90 each (0.07 oz). 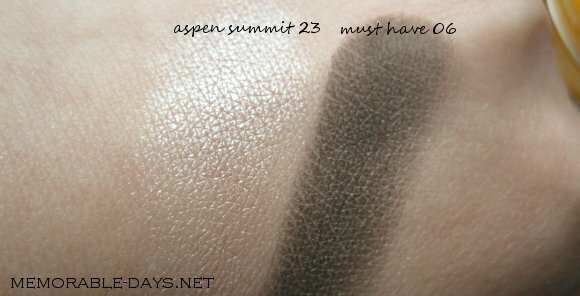 The white one is called Aspen Summit n°23 (silvery white shimmer) and the black one is called Must Have n°06 (matte black). The white one is one of the most pigmented white shades I've seen. The colour pay-off of both shades are nice ^^. Both shades have a soft texture that is easy to blend. I have oily lids so I always need to apply a primer before applying these. 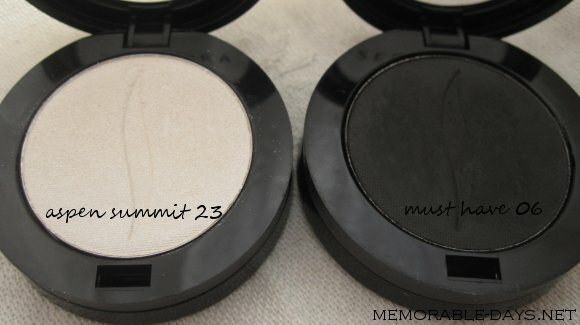 These two eye shadows are medium pigmented. Have you tried Sephora eyeshadows before? Nope i've never tried it before, but i have to say that the pigmentation of this black mono eyeshadow looks a bit off on the picture: It's not very black, but it looks more grey-ish black. Nope have not tried it before! @Marjolein, inderdaad xD! kan niet wachten totdat het er weer is =p ff inslaan dan weer heheh..
@Man teng, i agree that it's a bit grey-ish black on the pictures =) but when you have it on your lids you won't really notice that, it just looks black then. @Charlotte, oehh =D welke heb je gehaald ^^? Ja ik heb die zwarte! Ben er echt heel blij mee! Duurde eeeuwen totdat ik eindelijk een goede gepigmenteerde matte zwarte oogschaduw had gevonden! @Tasja, jaa ik vond het ook best moeilijk om het te vinden want meeste zijn met glitters =.="!! lol, de naam hebbe ze dus best goed bedacht xD = must have! @amanda, don't they have a store in australia :o?